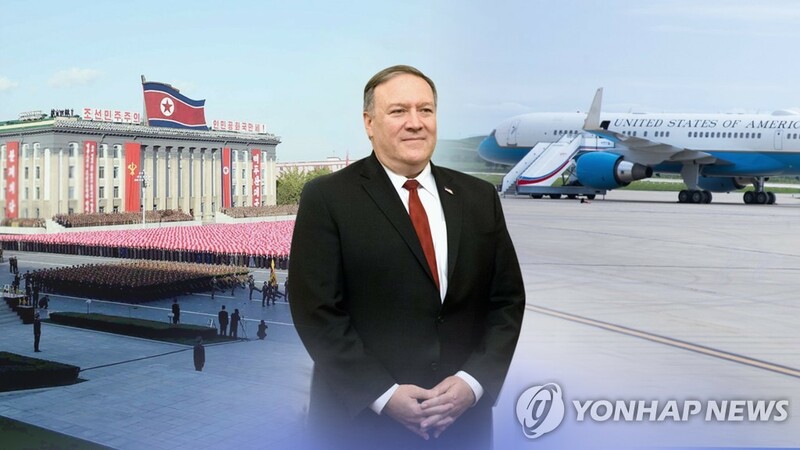 U.S. Secretary of State Mike Pompeo said Wednesday that the second summit between U.S. President Donald Trump and North Korean leader Kim Jong-un will be held in Asia next month. While media reports have speculated that Vietnam will host the meeting, it’s the first time that a U.S. official has revealed a location. The sides have since wrangled over the exact terms, with the U.S. demanding more concrete denuclearization steps and the North seeking sanctions relief among other concessions. A senior official at Seoul’s foreign ministry said that high on the agenda for the upcoming preparatory working-level talks for the Trump-Kim summit may be the proposed dismantlement of the North’s main Yongbyon nuclear complex and the U.S.’ “corresponding measures” in return for that. During his third summit with South Korean President Moon Jae-in last September, Kim agreed to close the nuclear complex should the U.S. take measures correspondingly. “As the North first talked of (the shutdown of the complex), the talks will focus first on the Yongbyon issue and then move to other (issues),” the official told reporters on condition of anonymity. Both Seoul and Washington will view the dismantlement of the complex, the crux of Pyongyang’s nuclear program, as “very significant” progress toward complete denuclearization, the official added. He, in addition, anticipated that the U.S. may take a number of “considerable steps” should the North shutter the nuclear facility. However, the U.S. still remains “adamant” when it comes to sanctions. “Though the U.S. and the North may discuss the whole of the sanctions, I can’t imagine the two sides negotiating over the resumption of the inter-Korean industrial complex in Kaesong,” he said. Earlier in the day, Seoul’s foreign ministry said it will continue its diplomatic efforts to achieve the denuclearization goal despite growing skepticism over Pyongyang’s will to forgo its nuclear program. “South Korea and the U.S. are closely watching developments related to the North’s nuclear activity through close bilateral cooperation,” Noh Kyu-duk, the ministry’s spokesman, told a press briefing. Earlier this week, U.S. Director of National Intelligence Dan Coats reportedly told Congress that Pyongyang is unlikely to completely abandon its nuclear weapons as its leaders ultimately view nuclear weapons as critical to regime survival.